HBO subscribers have another excellent month to look forward to in June, as the pay-cable channel’s streaming service HBO Now is adding a host of eye-catching feature films and TV shows. Read on for our breakdown of next month’s highest highlights. The folks at HBO have really outdone themselves in the theatrical premieres department, as their library will soon include several of Paste’s picks for 2017’s top movies. 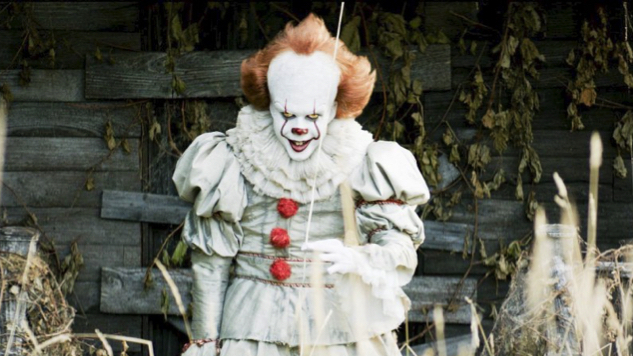 Chief among those are Andy Muschietti’s bloodcurdling Stephen King adaptation IT (June 30) and Denis Villeneuve’s stunning sci-fi sequel Blade Runner 2049 (June 2), our 27th- and fourth-ranked films of last year, respectively. Those two outstanding movies are only the beginning: Also inbound in June are Gore Verbinski horror epic A Cure for Wellness (which just barely cracked our top 50 films of 2017) on June 1, Tom Cruise-starring true-life drama American Made on June 9, Dax Shepard’s CHIPS adaptation on June 14, Kate Winslet- and Idris Elba-starring survival drama The Mountain Between Us on June 16, and messy Kingsman: The Secret Service sequel Kingsman: The Golden Circle on June 23. Those are just the theatrical premieres, mind you—other incoming films include an all-timer of a Western in Butch Cassidy and the Sundance Kid, beloved high-fashion dramedy The Devil Wears Prada, 1985 Chevy Chase comedy Fletch (plus 1989’s Fletch Lives), Oscar-winning male stripper story The Full Monty, and eminently quirky and quotable 2004 comedy Napoleon Dynamite, among others, all debuting on June 1. On the TV side of the equation, HBO’s additions are highlighted by both an end and a beginning: The former is the season two finale of Jonathan Nolan and Lisa Joy’s mind-bending, Emmy-winning sci-fi thriller series Westworld on June 24, while the latter is the premiere of new HBO original drama series Succession on June 3. Westworld, the channel’s heir apparent to Game of Thrones, airs new episodes on Sunday nights at 9 p.m. ET, and the prestige series—adapted from Michael Critchton’s 1973 film of the same name—has stepped its game up considerably in its ongoing sophomore season, with a third installment already in the offing. Succession, meanwhile, from Oscar-nominated creator Jesse Armstrong, touches on themes of power, politics, money and family by following the lives of the dysfunctional Roy clan, who control one of the world’s biggest media and entertainment conglomerates. As the Roys contemplate what the future holds for them as their aging father Logan (Emmy winner Brian Cox) begins to step back from the company, a power struggle is seeded and battle lines are drawn. In addition to Cox’s stern patriarch, the series stars Hiam Abbass, Kieran Culkin, Alan Ruck, Sarah Snook and Jeremy Strong as the rest of the Roys—Marcia, Roman, Connor, Shiv and Kendall, respectively. Oscar winner Adam McKay (The Big Short) directed the pilot episode from Armstrong’s script. And lest we forget, also debuting on HBO in June is the season one finale of Wyatt Cenac’s Problem Areas, a late-night docuseries in which the Emmy-winning comedian and Daily Show alum examines a wide range of sociocultural problems Americans are facing. That brings us to the titles that are departing HBO Now next month, and boy, are these going to sting. Bad news, wizarding world lovers: All eight Harry Potter films, which debuted on HBO back in January, are departing the platform on June 30, as is 2016 prequel film Fantastic Beasts and Where to Find Them. The beloved fantasy franchise’s tenure on HBO was the first time ever that it streamed in its entirety on any one service, which makes the end of said tenure all the more bitter. Harry Potter isn’t the only franchise on its way out, either: Ditto a significant chunk of the Fast & Furious films, including 2 Fast 2 Furious, Fast & Furious, The Fast and the Furious and The Fate of the Furious. Various other outgoing titles include Will Ferrell-starring, ‘70s-set basketball parody Semi-Pro (June 28), acclaimed rom-com (500) Days of Summer (June 30), basketball classic Hoosiers (June 30), Oscar-nominated blockbuster Kong: Skull Island (June 30) and the first two Species films (June 30). Watch ‘em while you got ‘em, folks. Check out HBO’s complete slate of incoming and outgoing June titles below.